I hear you, friend. You and I must live in the same part of the country because my horse and I saw that same crazy wind chill number a few weeks ago (for those of you who don’t live in parts of the country that experience cold, “wind chill” or “wind chill index” is defined as the perceived decrease in air temperature felt by the body on exposed skin due to the flow of air). Contrast this to the heat index which combines air temperature and relative humidity to determine the human-perceived equivalent temperature—how hot it feels (both definitions courtesy of Wikipedia). Personally I’m at a small, seven-stall barn that is not heated, insulated, or air tight (plus the stalls are kept immaculate) so the environment never really gets stale. But we did close all the doors and windows for a day or two when it got really cold instead of leaving them open at least a crack. And while being next to a middle school may have its downsides, an upside is that we can use the direction their flag is waving to decide which door and windows to leave open. In the winter, we try to leave the side of the barn open that the wind will not directly blow into, while in the summer we do the opposite, to catch a cooling breeze. I have to brag that we do a lot of other things right, such as feed high-quality hay and store it in a completely different barn, clean stalls and sweep aisles only after the horses have been turned out, and most of all, turn out as much as possible (we’re pretty much on a dawn-to-dusk schedule, so 7am to 5pm in the winter and 7am to 9pm in the summer). Our horses have pretty healthy airways! Air pollutants are mostly gases, like ozone, sulfur dioxide, and nitrous oxide, but particular matter, such as heavy metals, carbons, and smoke, contribute to pollution exposure in urban horses. 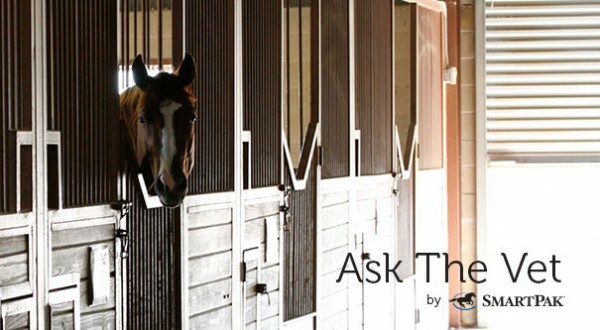 Air within the stable can be polluted with ammonia, bacterial byproducts (e.g. endotoxin), molds, and other chemicals which irritate the airways. The horse’s lung is huge—it samples thousands of gallons of air in just a few minutes of intense exercise. Dust particles enter airways and are trapped on their inner surface. Dust, gases, and chemicals severely irritate the sensitive airway lining. The airways, which are active living tissue, mount a rapid and aggressive defense called inflammation. The extent of this reaction appears to depend on the susceptibility of the horse. Some horses mount a stronger, more prolonged defense reaction, which can cause more harm than good. It has been speculated that viral infections can precipitate SAID. Airway inflammation results. Mucus and cellular debris accumulate within the airways, the airway walls thicken, constrict, or collapse. I’ll let you read for yourself the signs, terminology, pathophysiology, diagnosis, and treatments of Small Airway Disease/Heaves at www.tufts.edu/vet/hla/health_management.html. But your friend is right: allow the air to circulate in your barn even when it’s cold for healthier horses! It was a co-ordinated act of defiance in salidority with horsemen who were marching to protest a lack on movement on long promised VLTs. It had nothing to do with trainers alarm clocks or moring training. Hey there! It appears the heaves link is linking to a ‘Page not Found’ page on the Tufts website.